If you haven’t been to Jamaica yet, we’re sure you know someone who has. 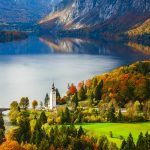 This wildly popular island has become a huge destination for cruise ships, family vacations, spring break trips, and backpacking adventures. With so many different areas and accommodation options to choose from, how could you possibly figure out where to stay in Jamaica? Well, each town is unique in its own way, so the best area to stay in Jamaica really depends on your personal taste. To help, we’ve listed the best places to stay in Jamaica for you so you can rest easy when you’re not out having a blast. Great for first-time visitors, Negril has some of the most picturesque shoreline you’ll ever see. Negril is also home to one of Jamaica’s most popular attractions, Seven Mile Beach. And with restaurants and bars lining the waterfront, you won’t have to worry about missing out on authentic Jamaican cuisine, such as jerk chicken or oxtail stew. Cliff jumping, scuba diving, and snorkeling are super popular here as the white sand and turquoise waters make for a water-lover’s dream. So, if you are wondering where to stay in Jamaica, Negril has everything you need for a memorable time on the island. Located on Seven Mile Beach and just a half mile from Negril Airport, this beachfront resort is truly a hidden gem near all the action. If you’re still looking to fill your itinerary, make sure you check with Kimesha, the event coordinator, as she’s sure to help you create the experience of a lifetime. If your itinerary is already set, no worries, just be sure to leave some time to enjoy the deliciousness Coco La Palm has to offer. 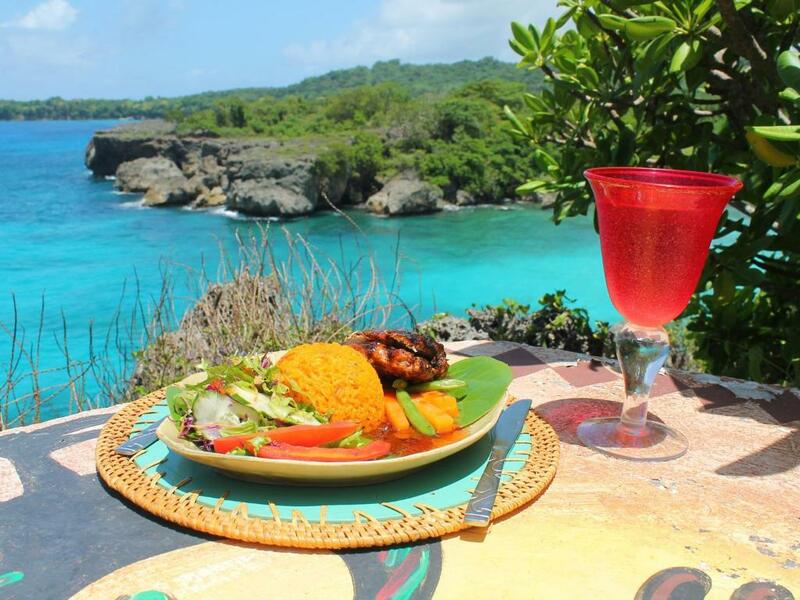 Their open-air restaurant Marley’s By The Sea serves delicious local, regional, and international cuisine while their beach bar and grill specializes in tasty drinks, authentic jerk, and some traditional American dishes. Between the great location, spacious rooms, friendly staff, and lush gardens, there’s no wonder why Coco La Palm remains one of the top resorts in Jamaica. Leave the chaos behind and get ready for a truly luxurious escape. One of their 18 gorgeously handcrafted stone cottages will be your home away from home throughout your trip to Jamaica. Not only will you have direct access to the sea from your cottage, but you’ll also appreciate your own private balcony and personal cell phone. You can’t leave Jamaica without taking advantage of the delicious Caribbean cooking class or the spa where you can get an unforgettable massage by the sea. With such an amazing staff, a stay at The​ ​SPA​ ​Retreat​ ​Boutique​ ​Hotel​ is truly a tranquil retreat. Set in gorgeous tropical gardens on Seven Mile Beach, even a short stay at Couples Swept Away will show you why it’s continually named one of the best all-inclusive hotels in Jamaica for adults. 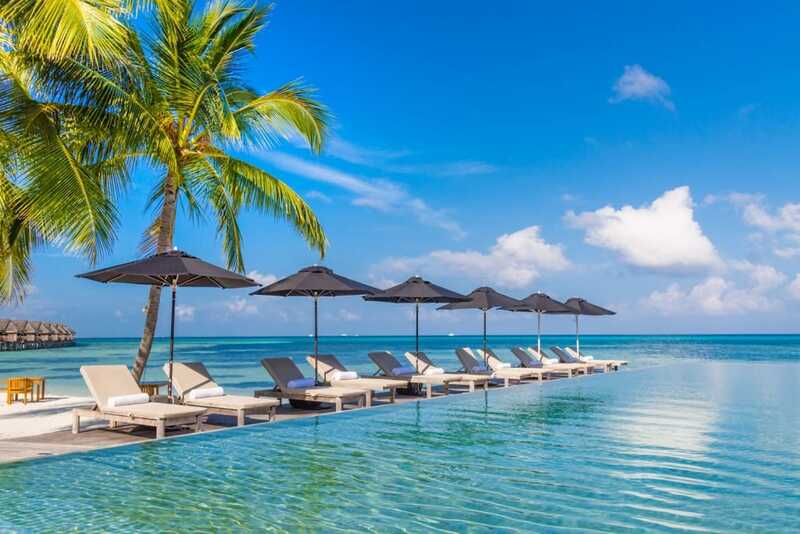 Relax on your own terms in one of the swimming pools, in one of the jacuzzis, or at the spa, or have an action-packed day that can include everything from windsurfing to kayaking to water skiing. Not only are these activities included in your stay, but there are always instructors available to teach you! You’ll be excited to wrap up your evenings with beach bonfires, steel drum bands, reggae dance classes, and more! With ten acres of fun all included in your stay, there’s no better place to stay in Negril than Couples Swept Away. Home to Jamaica’s largest airport, Sangster International, Montego Bay is a great place for shopaholics and party animals. Being one of the island’s most popular cruise ship ports, there is tons of duty-free shopping in the area. 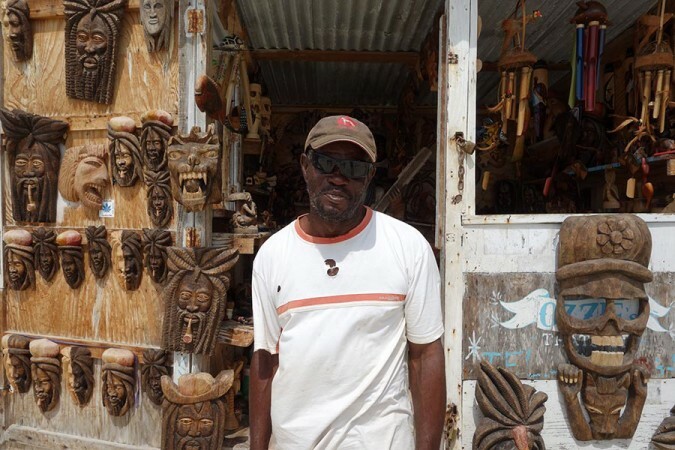 The Hip Strip and the open-air Harbour Street Market are some of the best places to go to browse for Jamaican souvenirs and memorabilia. Resorts and golf courses decorate the city and you’ll have an endless number of excursions to take advantage of. Montego Bay really comes alive once the sun sets as you can dance on the beach or in the club until dawn. With everything it has to offer, this popular spring break destination remains a fan favorite to everyone who visits. One of the best places to stay in Jamaica to experience authentic culture without breaking your budget is Toby’s Resort. Its location is only one of its highlights, as you’ll be right next to the Hip Strip, a three-minute walk to the beach, and less than a five-minute drive to Sangster International. Everything you could need is in walking distance, but if you decide to stay in you’ll love living the island life as you chill with a drink in your hand on the patio and watch the waves crash. The arcade also ensures you’ll have a great time at Toby’s Resort, and once you meet the staff you’ll be confident you made the right choice. Holiday Inn Resort Montego Bay takes pride in being one of the best hotels in Montego Bay. This all-inclusive resort gives you access to a mouthwatering buffet along with four a la carte restaurants and four bars. For the gamblers, you’re sure to appreciate the on-site casino, and if you want to get active, you’ll have tennis, mini golf, snorkeling, and more at your fingertips. If you’re bringing the kids, they can have their very own “KidSuite” where they’ll have a separate play and sleep area within your room. When it comes to all-inclusive family resorts in Jamaica, Holiday Inn Resort Montego Bay definitely highlights the list. Want to be treated like royalty during your vacation? 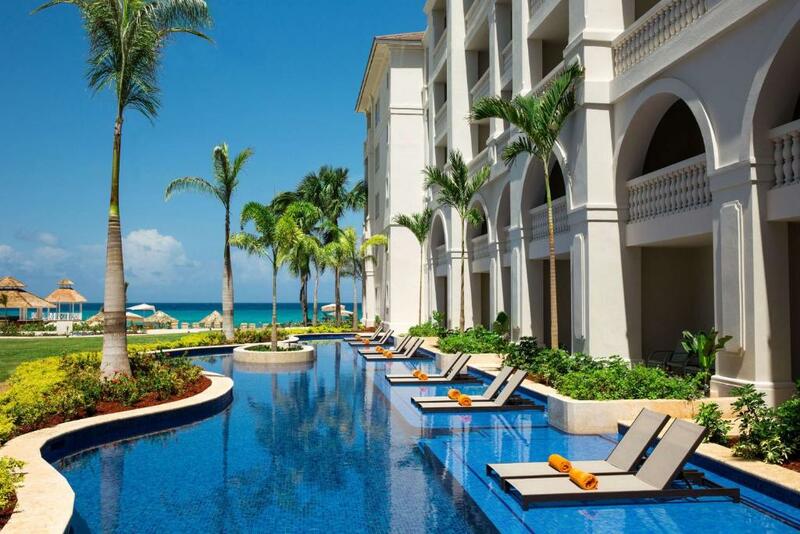 Hyatt Ziva Rose Hall tops the list of the best places to stay in Jamaica for you. Yes, you can choose a standard room or even a swim-up room, but you’ll probably want to choose a butler suite so you can enjoy personalized butler services throughout your stay. When you’re ready for an island adventure, the concierge is excited to help you choose from ziplining through the jungle, tubing in the White River, taking a historic tour, and more! If you decide not to stay out all night, don’t miss their nightly entertainment. The reggae band will warm up the crowd at 8:00pm, then at 9:00pm you’ll jam to a different performance every evening. With too many amenities to list, the staff at Hyatt Ziva Rose Hall is excited to help you craft your perfect Jamaican vacation. 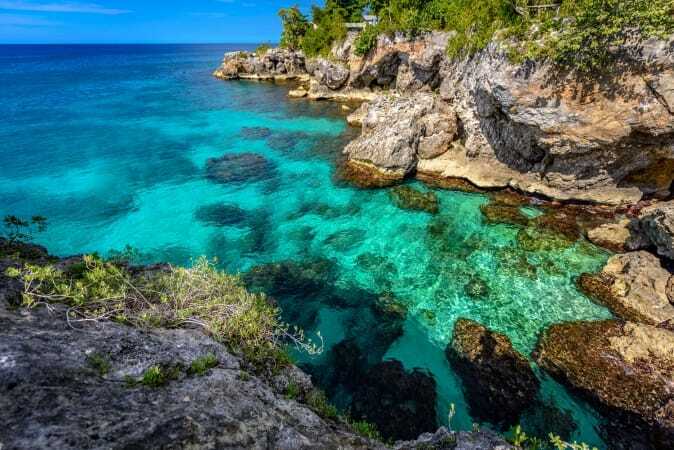 Best known for its use in the first James Bond film Dr. No, this former fishing village on the north coast of the island is now the most popular cruise ship port in Jamaica. As a result, you can expect a popular foodie scene, thriving nightlife, and plenty of excursion opportunities. World-class resorts and spas decorate the town, and the shopping fans can find everything from tremendous bargains to pricey jewels and gems. 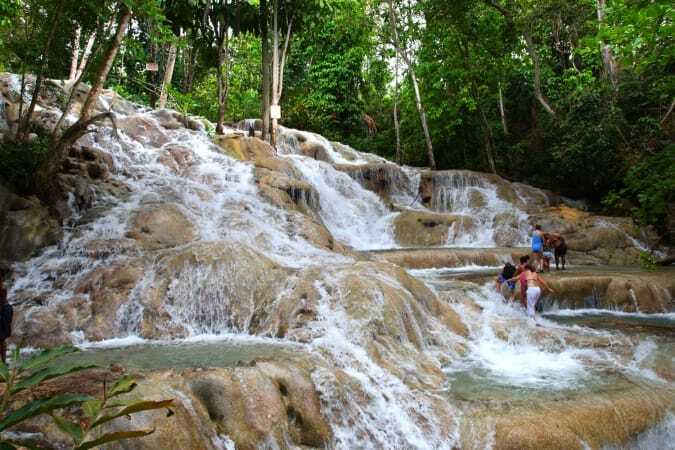 The nearby parish of Saint Ann houses rainforest, waterfalls, and rivers you won’t want to miss, one of the most popular being Dunn’s River Falls. If you’re looking for an easy all-inclusive Jamaica vacation, Ocho Rios is the place for you. Located in the heart of Ocho Rios Beach and just moments from the Island Village beach, Reggae Hostel Ocho Rios is one of the best places to stay in Jamaica if you’re excited to make friends with locals and other travelers. Only a few steps from the front door, you’ll find some excellent nightclubs, bars, and restaurants. The courtyard, rooftop bar, and lounge make it easy to make new friends if you stay in for the day. A book exchange, foosball table, and more are just some of the thoughtful amenities to complement your stay here. Looking to add to your itinerary? Be sure to ask the staff so they can give you all the local secrets. 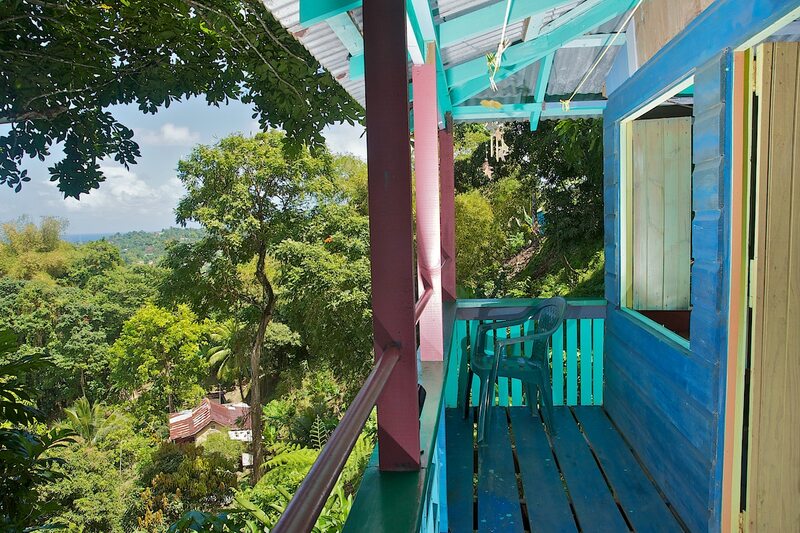 Reggae Hostel is the perfect place for a budget-friendly, relaxed stay in Ocho Rios. 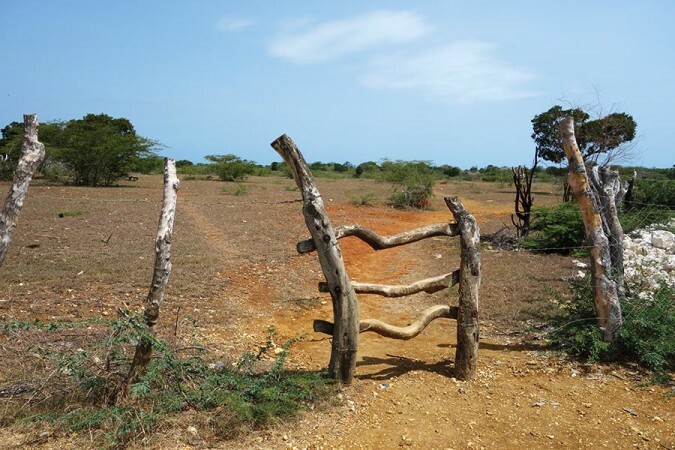 As soon as you step foot on the property, you’ll be in a haven of serenity. Located in the heart of Ocho Rios but surrounded by lush greenery, Hibiscus Lodge Hotel is known for its impeccable service and fine dining. Start your day right with their complimentary breakfast, then you can hit the streets and taste the different flavors of Jamaica, or stay in and enjoy your meals at the seaside Almond Tree where they have something for every taste bud. Four large balconies decorate the property so you can soak up the sun and bask in tranquility. Hibiscus Lodge is a charming boutique hotel that is sure to provide you a special stay throughout your time in Jamaica. 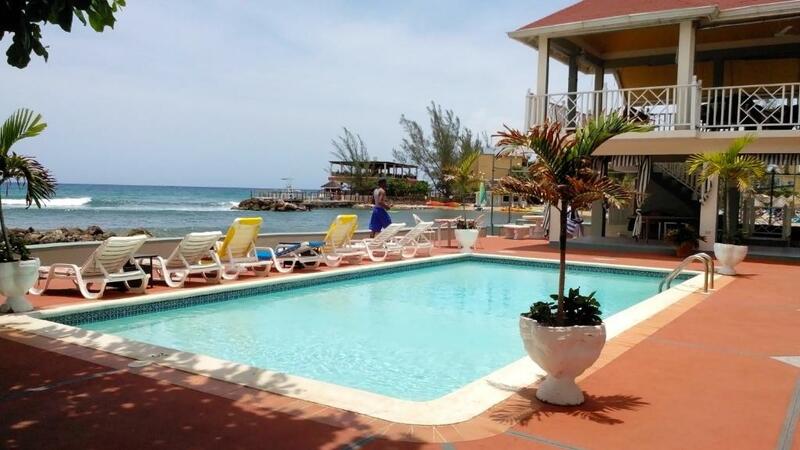 Offering you perfect service at an excellent value, Jewel Dunn’s River Beach Resort & Spa tops the list of cheap all-inclusive hotels in Jamaica. Not only that, but it’s also one of the best adults only resorts in Jamaica. Obviously you can expect unlimited gourmet dining from their six restaurants, premium drinks from one of their six bars, and a host of other fun activities, but Jewel Dunn’s River Beach Resort & Spa also features a stunning 9-hole golf course. After a fun-filled day, hop in The Falls Pool for a dive-in movie under the stars or dance to reggae on the beach. With so many amenities and world-class service, the luxurious Italian renaissance feel will make you want to come back over and over. 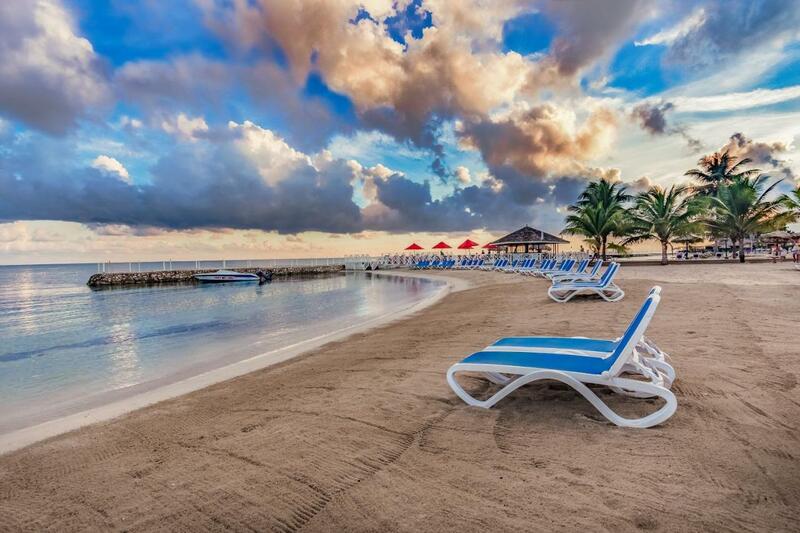 Ten miles west of Ocho Rios you’ll find Runaway Bay. Protected by a large coral reef, Runaway Bay houses some of the best beaches in the Caribbean. 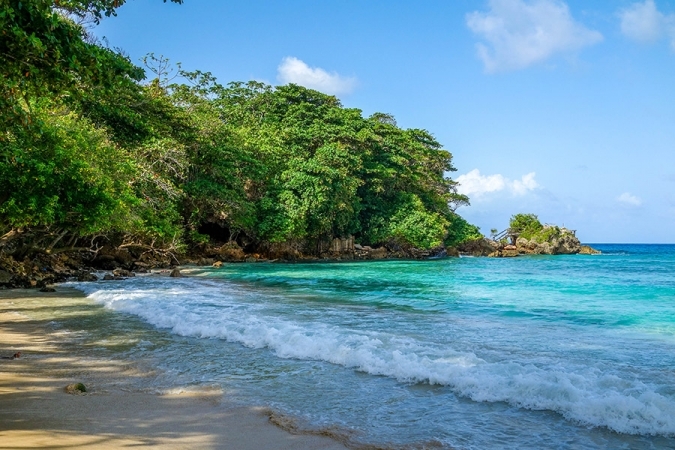 Although it is growing in popularity, the gorgeous beaches still have much less traffic than nearby Ocho Rios and Montego Bay. With many popular attractions nearby, including Bob Marley’s childhood home and the Green Grotto Caves, there will be plenty for you to do while still enjoying a quiet and relaxing stay. For those who want to be away from the crowds of tourists and pushy vendors, Runaway Bay is the best place to stay in Jamaica. Ms. Daisy and the rest of the staff at this family-run resort look forward to welcoming you to the St. Ann Region. Take your pick of a studio or one-bedroom apartment fully equipped with a kitchenette, fabulous view, and private balcony. When you’re ready to experience Jamaica, the tour desk is at your service to help spice up your itinerary. If you want some adults-only time while you explore or chill, they even offer a babysitting service. When it’s time to eat, you can expect nothing but exceptional meals from Yvonne and Verona whether you dine poolside or in your room. As you relax and watch the sunset seaside, you’ll know you made the best choice with Piper’s Cove Resort. With raving reviews, there’s no wonder why Royal Decameron Club Caribbean is one of the top 10 all-inclusive resorts in Jamaica. The architecture is exquisite and the paths through the 12-acre tropical garden are as stunning as can be. The staff’s goal is to brighten your day, so if there’s anything you need please do not hesitate to ask. With no shortage of amazing Jamaican food and unforgettable activities, even the kids are sure to have a blast at their Kid’s Club. There’s no better place to take scuba diving classes, so make sure you take advantage during your stay. With endless thoughtful conveniences, if you’re wondering where to stay in Jamaica, look no further than Royal Decameron Club Caribbean. This slice of paradise is located on a private strip of beach where health and wellness are priority. They continue to offer ingenious opportunities for you to be active and entertained throughout your stay. On top of everything you’ve come to expect from an all-inclusive resort, Jewel Paradise Cove Beach Resort & Spa also includes $1,000 worth of extras. You can experience a Konoko Falls excursion, a reef snorkeling excursion, a party trip to Margaritaville, and more, all included in your stay! Not only that, but you’ll also get complimentary transportation and green fees for the 18-hole championship golf course, Runaway Bay Golf Club. The on-site CrossFit course remains a highlight for anyone wanting to stay on top of their game even on vacation. With all of the exceptional extras, Jewel Paradise Cove Beach Resort & Spa always stays atop the list of best all inclusive resorts in Jamaica for adults. On the southeast coast of the island you’ll find Jamaica’s capital city of Kingston. With so much history, culture, and entertainment, Kingston exceeds the expectations of a capital city. 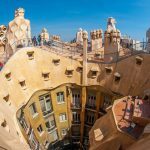 Uptown and Downtown each have their own unique qualities, and both are worth exploring so you can experience the authenticity of the city. 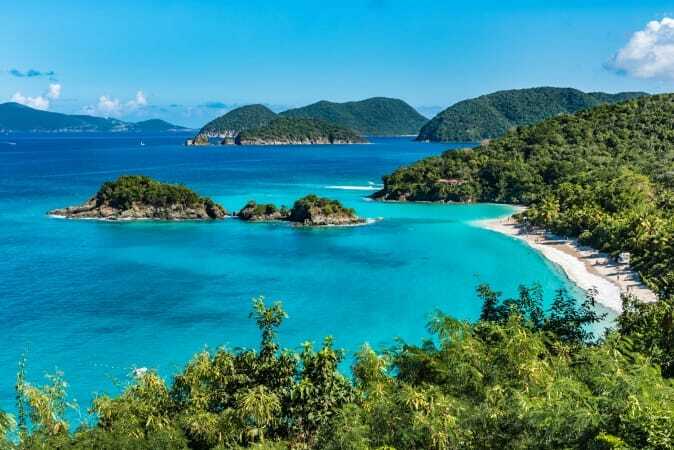 You should have no problem filling your itinerary in Kingston, as you can visit the Bob Marley Museum, get some of the city’s best ice cream at Devon House, one of Kingston’s historic mansions, and stroll through the 2000-acre Hope Gardens, the largest botanical garden in the Caribbean. You’ll quickly fall in love with the hustle and bustle of Kingston. 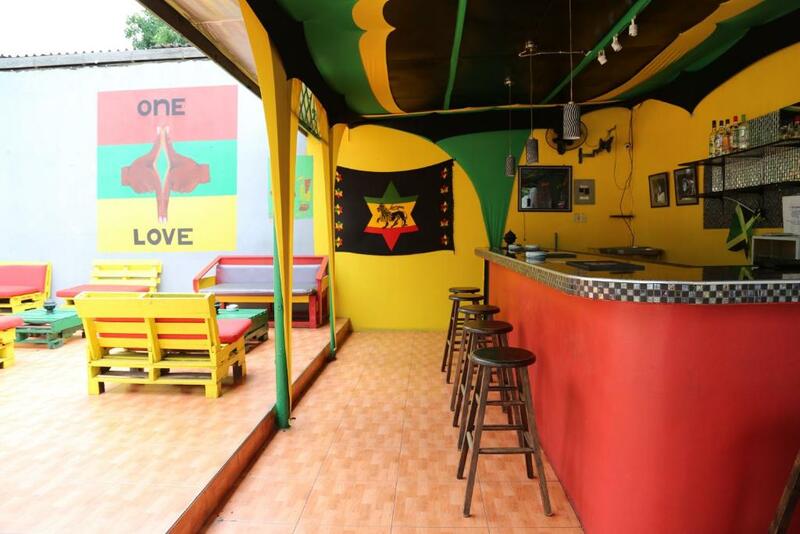 For the budget-conscious social butterflies in Kingston, Reggae Hostel highlights the list of the best places to stay in Jamaica. Located just a ten-minute walk from Half Way Tree, you’ll have easy access to everywhere on your itinerary. The staff at this award-winning hostel specialize in helping you encounter the best of Kingston and the Blue Mountains. Every night they offer local transportation to dancehall and reggae events, and on Fridays, they host a jam session with the best up-and-coming Reggae artists. Their on-site bar is just outside the hostel, so you can still sleep peacefully if you’re partied out. For a great stay at a better price, you’ll definitely want to join the family at Reggae Hostel. 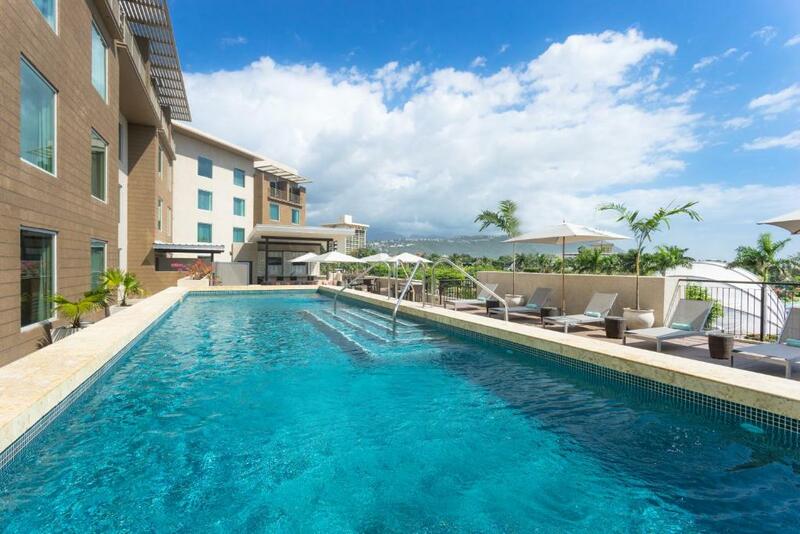 Located in New Kingston overlooking Emancipation Park, you can’t go wrong with the Courtyard Kingston. You’re in a perfect location to experience Kingston as you’ll be surrounded by theaters, art galleries, and music venues. The second floor outdoor pool and poolside bar give you picturesque views as you soak up the sun while sipping a cocktail. While you should definitely get out to explore the local flavors of Kingston, have a least one meal at the restaurant, The Centro, as their beef ribs and grilled shrimp are to die for. This upscale, modern hotel coupled with its world-class service makes Courtyard Kingston a more than fantastic choice for your trip to Jamaica. You’re in for the celebrity treatment with a stay at Spanish Court Hotel as they pride themselves on being the premier hotel in Kingston. Housed in New Kingston just a few feet from the Port Royal historic district, once you see the magnificent Spanish-influenced exterior you’ll know you’re in for a luxurious stay. The general manager, Joseph, and the rest of the staff are committed to providing you a personalized experience throughout your stay, so if there’s ever anything you need, please let them know. They know relaxation and rejuvenation are key to you having a great time in Jamaica, so not only do you have spa services at your fingertips, but you can also take advantage of the Sky Terrace featuring a 50-foot infinity-edge lap pool and stunning veranda or visit their private Mountain Deck overlooking the horizon and lush gardens. You’re sure to have nothing less than a remarkable stay at Spanish Court Hotel. Glamorized as paradise in movies like Cocktail and Club Paradise, Port Antonio has a laid-back vibe where you can enjoy nature without the tourist crowds. The locals are friendly and welcoming as Port Antonio offers a more off-the-beaten path experience. Waterfalls, jungle trails, white sand beaches, and mountains are sure to be on your list of things to do if you stay in Port Antonio. Just east of Port Antonio is the Blue Lagoon, a popular swimming destination where you can watch the gorgeous blue water change colors depending on the angle of the sun. If you’re looking to escape the chaos and get away from it all, then Port Antonio has your name written all over it. Nature lovers who are wondering where to stay in Jamaica will be thrilled to discover Mango Ridge. 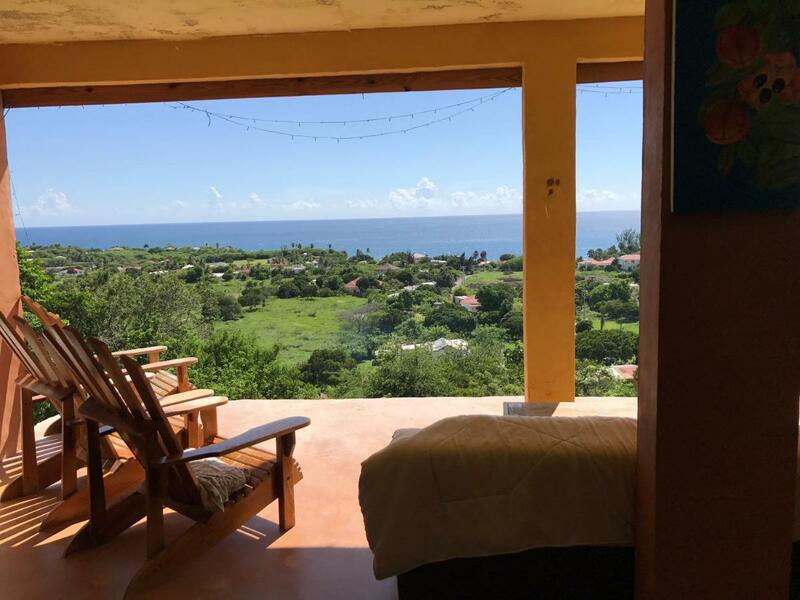 This lovely cottage in the foothills of Jamaica’s Blue Mountains puts you in a gorgeous rainforest setting overlooking the sea and Port Antonio. Other than mangos, you’ll be surrounded by avocados, papayas, bananas, and more! Along with being home to tasty fruits, some of the native birds you can befriend are wild parrots, hummingbirds, and woodpeckers. You’ll also be in the perfect location to go rafting and hiking in the Rio Grande Valley. 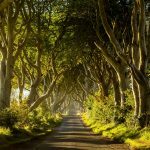 Have questions or need itinerary help? Mike is one of the wonderful hosts who lives on the property, so if there’s anything you need, he’s your guy. 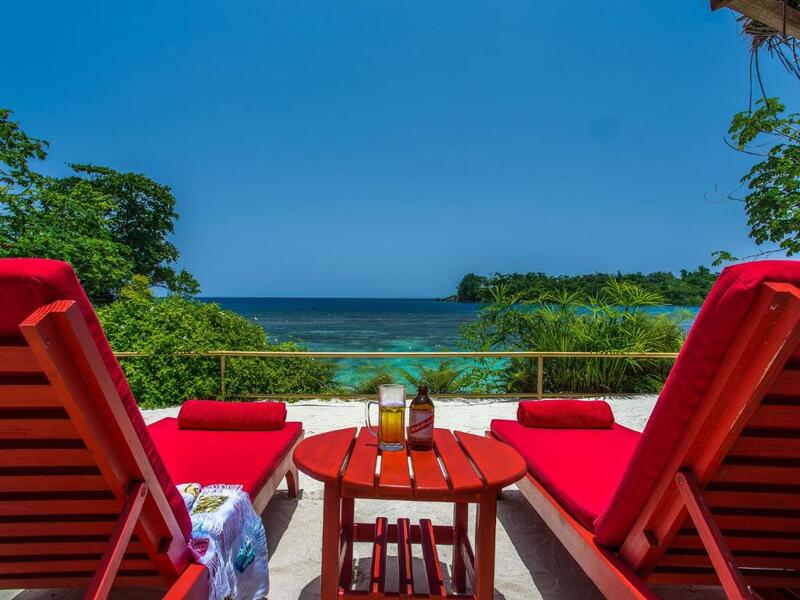 Mango Ridge is a perfect retreat for your time in Port Antonio. African culture and Jamaican history combine to create a truly unforgettable experience at Great Huts. Great Huts is an eco-resort situated on the cliffs overlooking Boston Bay Beach where you’ll have the time of your life. When you’re not out painting the town, they have tons of fun activities including surfing, cliff jumping, a snake trail walk, and more. Be sure to make your way to their Safari Deck Restaurant Saturday at 7:00pm for an African Drumming and Dance pageant along with a History of Jamaican Music from Reggae to Dancehall performance. Get excited to take your pick of a hut, treehouse, or bungalow decorated in beautiful African handmade furniture to rest your head after you’re done jamming for the night. After your first night’s stay, you’ll be confident Great Huts is one of the best resorts in Jamaica. Experience authentic Jamaica without having to leave your creature comforts behind when you stay at Geejam Hotel. Once you check-in and receive your complimentary mobile phone, it’s time to explore your luxurious home away from home. Whether you choose to relax on your private patio, get pampered at the spa, or stuff your belly at their Bushbar restaurant featuring delectable Jamaican and Asian-influenced dishes, you’ll be loving your life. Geejam Hotel stands out as one of the top hotels in Jamaica for musical artists, as it houses one of the leading residential recording complexes in the area. Housed on six acres of luxuriant San San Estate, even the legendary Grace Jones finds Geejam Hotel irresistible. Treasure Beach is not a resort town, but it has been called one of Jamaica’s best-kept secrets. There are a few small hotels and guesthouses, but you won’t find any all-inclusive resorts. The local population of artists, poets, and other amazing people promote sustainability and a mellow culture. This string of sleepy fishing villages provides a stunning landscape perfect for photographs. If you want to get away from mass tourism and take advantage of a classic Caribbean experience, Treasure Beach is one of the best places to stay in Jamaica. Expect the owner, Paul, to be waiting outside with a smile and open arms when you pull up to Welcoming Vibes. The guesthouse sits on a hill so you’ll have uninterrupted views of Frenchman’s Bay and the sea. From the spa and games room to hiking, fishing, and snorkeling, they have plenty of activities whether you want to be indoors or outdoors. The terrace and kitchen are great places for you to meet others and share your best and worst travel stories. For five-star service at a backpacker’s budget, Welcoming Vibes is definitely one of the best places to stay in Jamaica. If you’re looking for a peaceful place to stay, Kudehya Guesthouse is the place for you. Iyaras and Sharon are elated to welcome you to their beachfront paradise. 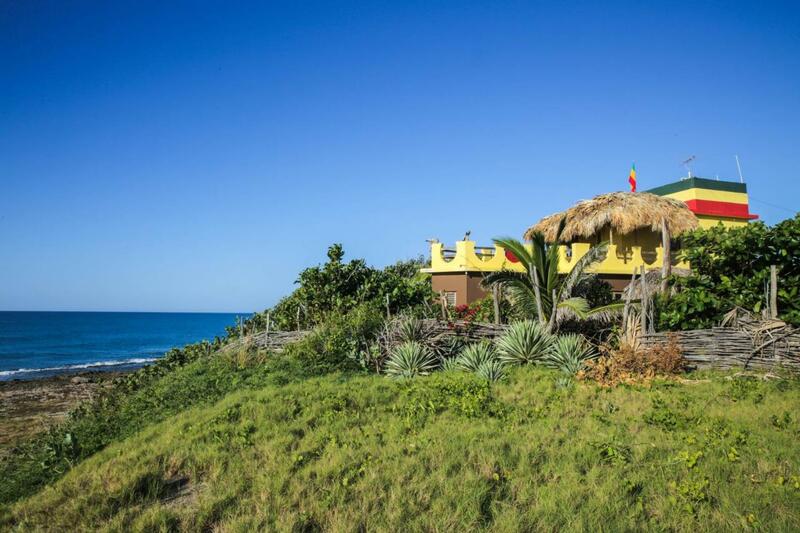 Located at the end of a quiet street in Old Wharf Treasure Beach, you’ll find Kudehya Guesthouse decorated in Rastafari colors. 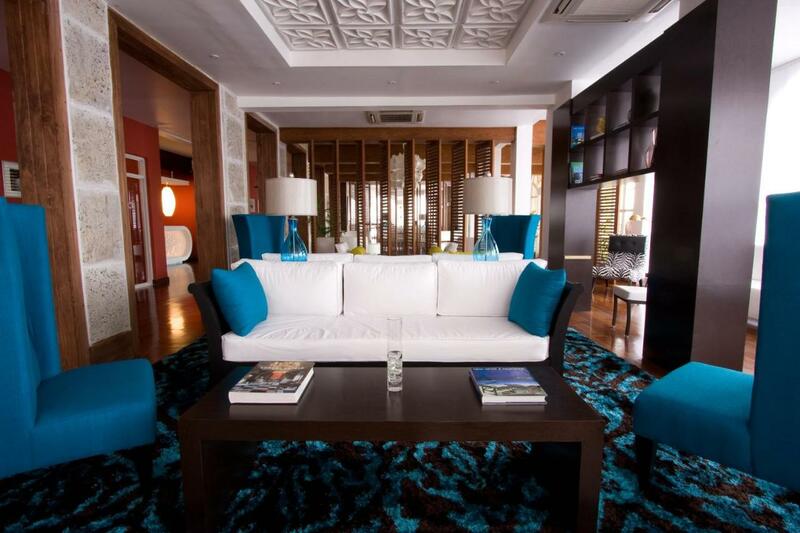 Contemporary and traditional African design mesh to create an amazing atmosphere for your stay. They’re kind enough to have bicycles available for rent so you can explore the area on your own terms. And if you’re an animal lover, you can even take the owners’ dog for a walk :) Looking to live the simple life throughout your vacation? 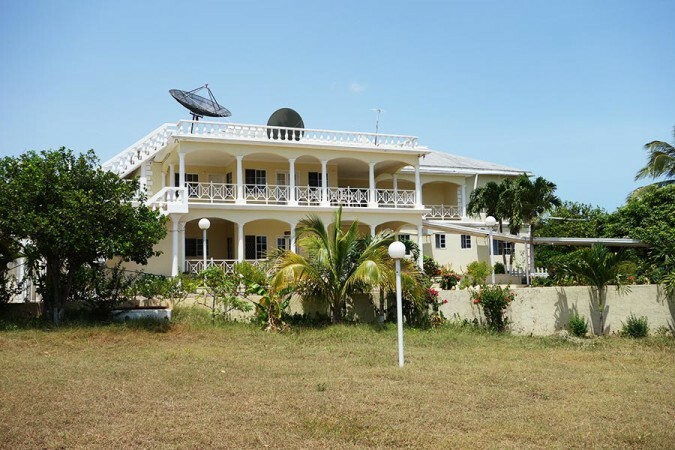 Kudehya Guesthouse highlights the list of the best hotels in Jamaica for you. Your happily ever after starts at Jake’s Hotel. Yes, they have both rooms and cottages that are wonderfully whimsical, but they have so many activities available you’ll barely even be in your room. Jake’s Hotel is quite possibly the best place to stay in Jamaica for families. 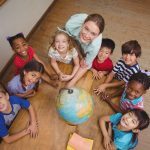 While adults can choose from fishing, cooking classes, bird watching, and more, the kids can also enjoy a host of activities including a shell design workshop and a mosaic art workshop. They specialize in day trips and excursions to make sure your trip is absolutely perfect. 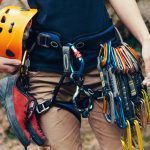 Whatever your style, from getting your hands dirty on a farm tour to pointing out wildlife on a Black River safari excursion to zip-lining, rope-swinging, and tubing at YS Falls and more, they’re sure to provide you with unforgettable memories. You’re in for a truly special stay when you choose Jake’s Hotel. Now that you know where to stay in Jamaica, the only things left to do are pack your bags, add some reggae to your playlist, and get ready to jam Jamaican-style. I stayed at Coco La Palm when I went to Jamaica last summer and it was lovely. I’m really blown away by the fact that it’s considered a “budget” resort, because I mean if that’s what a cheap place to stay looks like, I can’t even begin to imagine how good the really expensive places must be! Stayed at 2 hotels on your list, Couples Swept Away and Jewels Dunn River both were awesome! Going back to Couples Swept Away again, can’t wait! I absolutely love Jamaica and it is my favorite after visiting Punta Cana and Riviera Maya.